If you’ve thought about cutting the cable cord but aren’t sure, here are a few tips. With the popularity of streaming services like Netflix and Hulu, more Americans are cutting the cable cord than ever. You might think your home theater won’t be the same without cable television, but you might also be surprised! Here are some different ways to cut the cord while still accessing all of the shows you know and love (and some new favorites!). Do you find yourself mainly keeping up with the major networks and shows like New Girl, The Voice, or Modern Family? Hulu Plus offers current and up to date programming from major networks like FOX, NBC, ABC, and the CW. They even offer content from other non-major networks like Comedy Central. Still not satisfied with those options? You can subscribe to Sling TV through Dish Network. Sling offers access to AMC, TNT, TBS, ABC Family, and A&E for $20 a month. That price might be a little steep if you aren’t going to get much out of those networks, so make sure to pay attention to what you are really watching in your home theater before taking the plunge. If you watch what you consider to be the best of TV and shows that are critically regarded, you can save a lot by cutting out some of the major networks and simply subscribing to some premium services, like Netflix. Netflix is home to home theater favorites like House of Cards and Stranger Things. If you are an Amazon Prime user, you already have access to Prime Streaming, which includes Transparent and Alpha House. Love watching your favorite television and movies on HBO? Subscribe month to month through your streaming device or online. If you enjoy watching a little bit of everything, consider subscribing to a bunch of different services. Even if you subscribed to HBO Now, Netflix, Hulu, CBS, and Amazon Prime Video, you would still save almost $250 annually! Ready to cut the cable cord and get premium streaming capabilities in your home theater? Integrated Technologies Group has the expertise and great prices to make it happen. We have been providing Maryland residents with top notch home theater services, home security services, and home automation services for over a decade. We work throughout Maryland, Pennsylvania, Virginia, Delaware, and West Virginia. 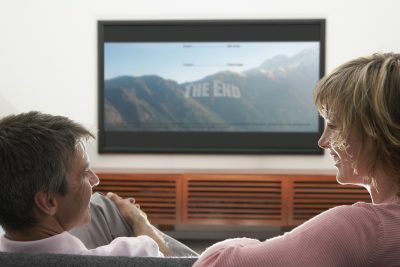 Ready to get a quote to make your home theater dreams a reality? Give us a call at 1-800-560-3280 or visit us online. For more informative articles, follow us on Facebook, Twitter, Pinterest, and Google+. This entry was posted on Friday, September 16th, 2016	at 7:19 pm	and is filed under Home Theater System	. You can follow any responses to this entry through the RSS 2.0	feed. Both comments and pings are currently closed.